WHY IS 3D BABYVISION FETAL IMAGING UNIQUE? At 3D BabyVision Fetal Imaging in Vancouver, we offer you top technology, experienced professionals and warm, friendly service. Our state-of-the-art General Electric Voluson 730 Pro-« ultrasound system provides the very best available imaging of your baby. This next generation of ultrasound technology processes images so rapidly that real-time display is virtually free of the "jerkiness" typical of earlier 3D ultrasound equipment. This means a smoother video experience both in session on our 42" plasma screen, and afterwards on DVD in the comfort of your home. Top-of-the-line, highest compatibility DVD discs are silk-screen labelled, avoiding adhesive labelling which can cause your DVD system to jam. 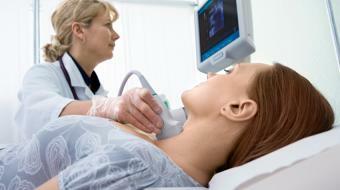 Our licensed ultrasonographers have many years of experience in obstetrical ultrasound. This ensures not only professional operating standards, but also optimal imaging of the baby in an efficient, timely manner, so that none of your session time is wasted. At 3D BabyVision Fetal Imaging we strive to make your visit an enjoyable and relaxing one, with friendly staff in a warm and comfortable setting. To add to your 3D BabyVision Fetal Imaging experience, we encourage you to bring family and friends along! WHAT PREPARATION IS NEEDED FOR MY ULTRASOUND SESSION? Overall hydration increases the amount of amniotic fluid around the baby which translates into better pictures. It is important that you drink lots of water in the days leading up to your 3D/4D ultrasound. We suggest drinking at least 6 to 8 glasses of water per day, in addition to any other liquid, for two weeks before your scan. On the day of your 3D/4D ultrasound scan however, we will have you empty your bladder before beginning as to optimize visualization. This is different from traditional ultrasounds! IS 3D ULTRASOUND SAFE? Yes, ultrasound has been used safely in obstetrics for over 30 years. There is no evidence of any harmful effects from the use of ultrasound. We believe in informed consent, and therefore offer you the following link and ask you to form your own opinion. Are you a health practitioner that works at 3D Baby vision Imaging, London, Ontario? Sign up with Health Choices First.